MBS (pounds): 16,000. Rope Cap (inches): 1â. Sideplates: Stainless Steel. Sheave: 2 3/4" Aluminum. Axles: Stainless Steel. Size (inches): 6 1/2" x 4 1/4". Weight: 1 lb 5 oz. If you have any questions about this product by CMI, contact us by completing and submitting the form below. If you are looking for a specif part number, please include it with your message. 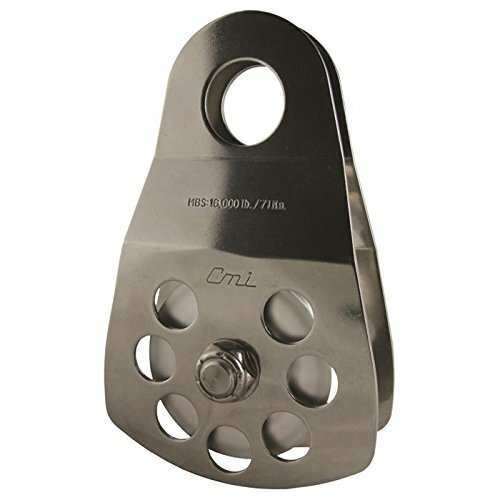 Cmi Original 2 3/8" Pulley 8500 Lbs.